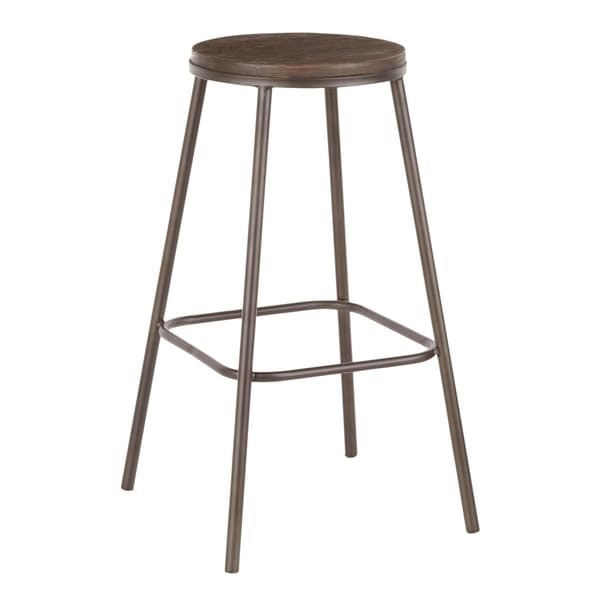 A modern silhouette with an industrial flair, the Clara Round Bar Stool showcases stylish elements that will fit seamlessly with your industrial décor. Featuring a stationary backless design, a built-in footrest, and an antique metal base accented by an espresso distressed wood round seat. Sold in sets of two and available in a variety of color options, choose the one that fits your space the best. Dimensions 17.5 In. X 17.5 In. X 29.75 In.